Today we text hearts. But in Victorian times, flowers acted as the instant messaging and emojis of the day. In nineteenth-century Europe (and eventually in America), communication by flower became all the rage. A language of flowers emerged. Books appeared that set the standard for flower meanings and guided the sender and the recipient in their floral dialogue. Victorians turned the trend into an art form; a properly arranged bouquet could convey quite a complex message. Naturally, books on the subject often had lavishly decorated or illustrated covers. Now an amazing collection of books about the subject, including many entitled The Language of Flowers, has been donated to the Lenhardt Library. 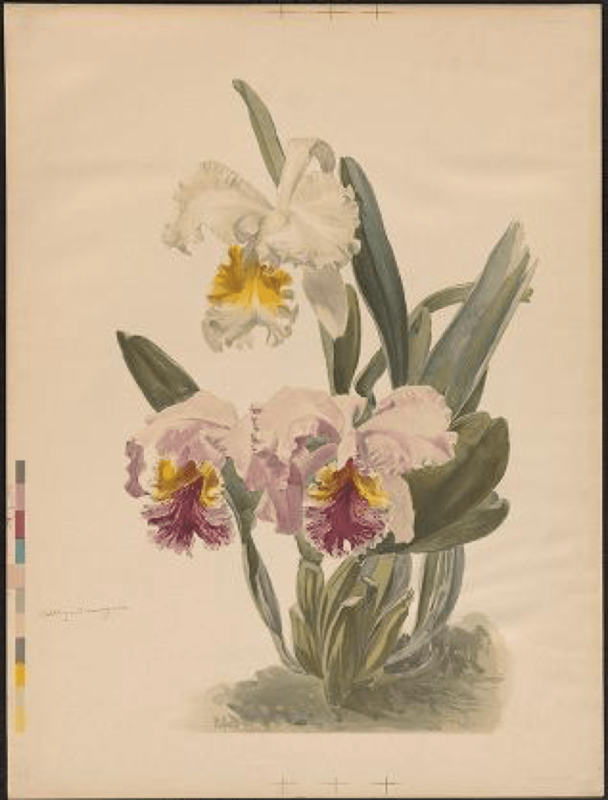 The gift of James Moretz, the retired director of the American Floral Art School in Chicago, the collection includes more than 400 volumes from his extensive personal library on floral design. Moretz taught the floral arts for 45 years, traveled the world in pursuit of the history and knowledge of flowers, and authored several books on the topic. 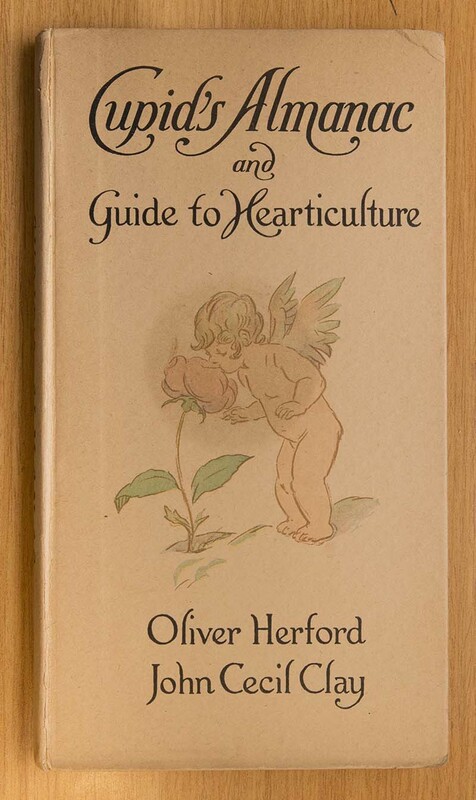 His donation gives the Chicago Botanic Garden’s Lenhardt Library one of the Midwest’s best collections of literature on the language of flowers. As even these few photos show, there are books filled with intricate illustrations, books specific to one flower, handpainted books, pocket-sized books, and dictionaries. The oldest volume dates to 1810. Two are covered in pink paper—seldom seen 200 years ago, but quite subject-appropriate. Many books are charmingly small—the better to fit, it was thought, in a woman’s hands. A non-written type of communication, the language of flowers needed a standardized dictionary in order to be properly understood. Carnations held several meanings: a solid color said yes, a striped flower said no, red meant admiration, while yellow meant disappointment. The language of flowers translated well: there are books in French, Spanish, Italian, German, Dutch, Japanese…and English. Some 240 of the volumes are quite rare—those will, of course, be added to the library’s Rare Book Collection. (Fear not, you can peruse them by appointment.) The remainder will be catalogued and added to the library shelves during the course of the year. Are you a Garden member? You’ll be able to check them out. 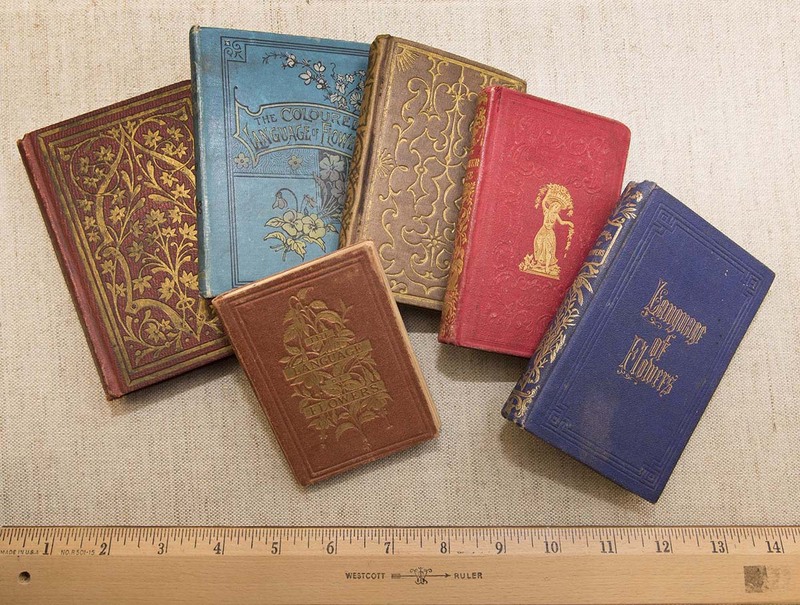 Tiny books were sized for women’s hands—and to slip into pockets. This pocket-sized Victorian reference could come in handy when courting. 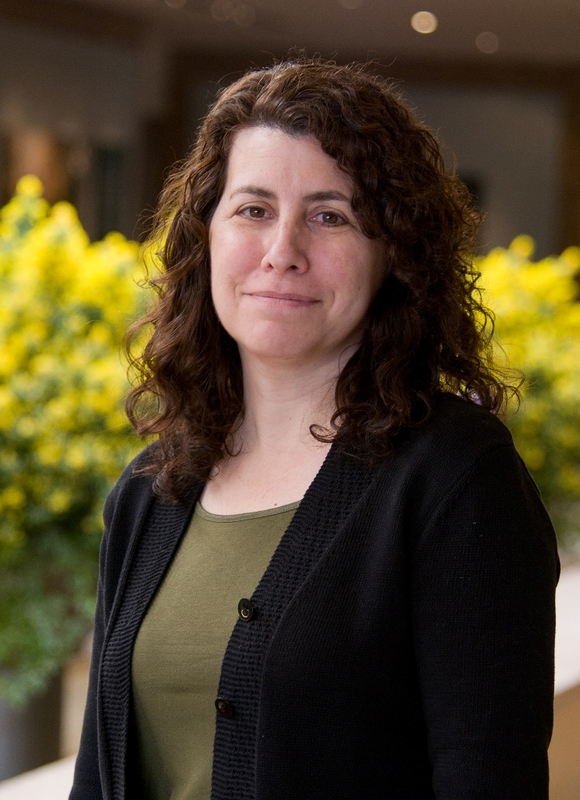 Librarians aren’t often at a loss for words, yet when I asked Lenhardt Library director Leora Siegel about the importance of the donation, she paused for a very long moment before responding. Clearly, her answer would have weight. “It is the single most outstanding donation in my tenure as director,” she replied. Despite all of the electronics and gadgets that surround us and demand our attention, a book is still one of the most thoughtful and personal presents to give and to receive at the holidays. This holiday, I just want to relax on the sofa with a good _____. My kids ask me to read that _____ to them every night. Our ____ club is meeting next Tuesday evening for some holiday cheer. Does this sound familiar to you? It did to us! So we turned to our book experts—the staff at our Lenhardt Library—to ask for their recommendations for holiday gift books. Librarian Leora Siegel chills out with some good friends. Eight selections are available to purchase at our Garden Shop, too. Shop online, visit the shop before/after your Wonderland Express visit, or come by to browse during holiday hours. We even included our library call numbers so you can find these books easily—and browse 125,000 other volumes—when you come to the library. We look forward to seeing you! Guilford, CT: Lyons Press, 2011. Compact, lovely to look at, and full of useful information, this is a beautifully illustrated and handy book that includes vegetable history, how-to’s, etc. This tucks nicely into a Christmas stocking, too. Glencoe, IL: Chicago Botanic Garden in association with Yale University Press, 2012. This book captures our Bonsai Collection. It has stunning photographs, paired with copy that brings the world of bonsai to life. Philadelphia, PA: Quirk Books, 2013. New York, NY: Dorling Kindersley Limited, 2014. Destined to be dog-eared and brand new on the shelf, this book is an info book that gardeners of every type and experience level can trust for facts and advice. Los Angeles, CA: Autry National Center of the American West, 2014. This book features native American history, encoded in beadwork. Gift this book to history buffs, fashion fanatics, and craft-devoted friends, all sure to be gobsmacked by the sheer audacity and intricacy of it all. Read our full review here. New Haven, CT: Yale University Press, 2013. Were you one of the lucky attendees at Peter Crane’s lecture at the Garden in 2013? In his beautifully written and realized book, the former director of the Royal Botanic Gardens, Kew, goes beyond botany and horticulture to cover the art, history, and culture of one of the planet’s most ancient trees. Read our full review here. A thoughtful gift option for a deep thinker, this book impressed me both with the writing and its illumination of an often-overlooked fact: trees can live extraordinarily long lives. It’s a comfortably sized book for reading, too. Layton, UT: Gibbs Smith, 2014. The cover is so stunning that it compels you to open this new-on-the-shelves book, which is filled with step-by-step instructions for designs both simple and extravagant. Or buy the book for yourself, then gift your friends with your own handmade versions. Novara, Italy: White Star Publishers, 2013. We admit it: we’re partial to orchids (The Orchid Show opens at the Garden on Valentine’s Day, 2015). We’re also partial to this coffee table-sized book as a great gift, filled with stunningly detailed and thoughtful photography of the world’s most beautiful flowers. Boston, MA: Houghton Mifflin Co., 2008. Birds and plants go together. As a gardener, bird watcher and traveler, I’ve always wanted one ID book for the United States, not just the east or west. Slightly larger than the typical Peterson guide, this edition fits the bill. Portland, OR: Timber Press, 2014. What a great idea for a gardening book: focus on the plants that do the work themselves. “It spreads” was once anathema to a gardener, but this book takes a surprising and creative new approach to 150 “free” and garden-worthy plants. New York, NY: Overlook Press, 2014. Lotus, lily, sunflower, poppy, rose, tulip, orchid…author Jennifer Potter traces the powerful effects that seven simple but seductive flowers have had on history, civilization, and culture. Tulipmania? Orchid fever? The War of the Roses? All is revealed and explained in this compelling, lushly illustrated book. New York, NY: William Morrow, 2014. The cover alone is enough to propel you into this endlessly fascinating, fun, fact-filled, A-to-Z book. A great gift for anyone (any age!) who loves to cite a good fact, tell a shocking story, or learn about the natural world in unexpected ways. New Haven, CT: published for the Paul Mellon Centre for Studies in British Art by Yale University Press, 2011. Similar to entertainment parks like Chicago’s Millennium Park or Denmark’s Tivoli Gardens, Vauxhall Gardens is mentioned everywhere in literature, but no longer exists. What was it like? Comprehensive and scholarly, this book explores the details—the history of social life, public gardens, culture—in a large format that does justice to the numerous period illustrations and maps. A little child…a big bear…a golden flower…and the power of friendship. A book that never grows tired of being read aloud over and over again, it’s a fine gift/addition to your child’s/friend’s library. Bellevue, WA: Readers To Eaters, 2013. Kids need to know the true story of Will Allen, former basketball star, who creates gardens in abandoned urban sites to bring good food to every table. This book is inspiring and motivating (and he can hold a cabbage in one hand!). New York, NY: Harper & Row, 1964. This is a beloved classic, now teaching another generation about the nature of giving. Your child or young friend doesn’t know it yet, but this heartfelt and tender story, illustrated so beautifully by the author, will become a staple on the nightly story request list. New York, NY: Harper Perennial, 1998. Like so many fairy tales and fireside stories before it, this witty, funny tale also has a darker twist, fittingly revealed in the final panel. Adult fans of Gary Larson’s The Far Side might enjoy this book as much as the perceptive kids you’ll gift with it. It always makes me laugh…and scream. Want more inspiration? Check out the library section on our website for hundreds more book reviews. Happy Giving! In 1860s New Hampshire, botanical artist Ellen Robbins perched before her canvas, creating wildly popular watercolors of fall leaves. Books of her paintings sold well, landing in the hands of high society members such as fellow artist Gertrude Graves, a cousin of poet Emily Dickinson. Graves presented her copy of one such volume, Autumnal Leaves, to the Massachusetts Horticultural Society in 1923, where it remained until being acquired by the Chicago Botanic Garden in 2002. Today, the historic, storied volume is accessible to us all via a visually crisp, easily navigated online library. 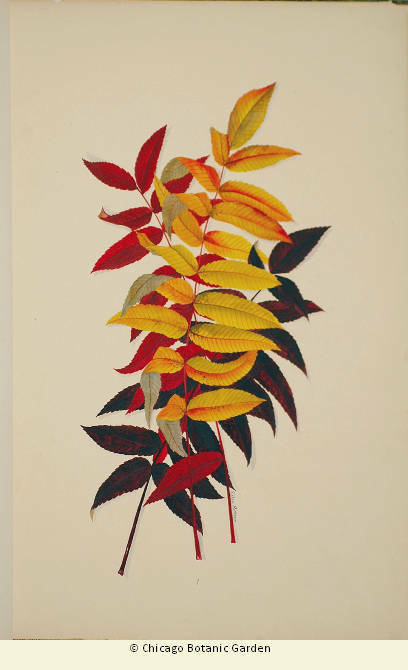 Autumnal Leaves is one of the historic books, postcards, and similar materials digitized and conserved by the Garden in recent years and now accessible via the Internet. “It just opens up the opportunities for more people to see the wonderful pieces that we have,” said Leora Siegel, director of the Garden’s Lenhardt Library, which was established by the Woman’s Board of the Chicago Horticultural Society in 1951. The Lenhardt Library’s impressive collection includes materials dating from 1483 to 1917, which are now available online to an expanded audience. “In this age of e-books, these primary resources are something different. They are something really important to our civilization and culture,” said Siegel, who is delighted to help the public, scientists, historians, and artists from around the world access the remarkable materials. 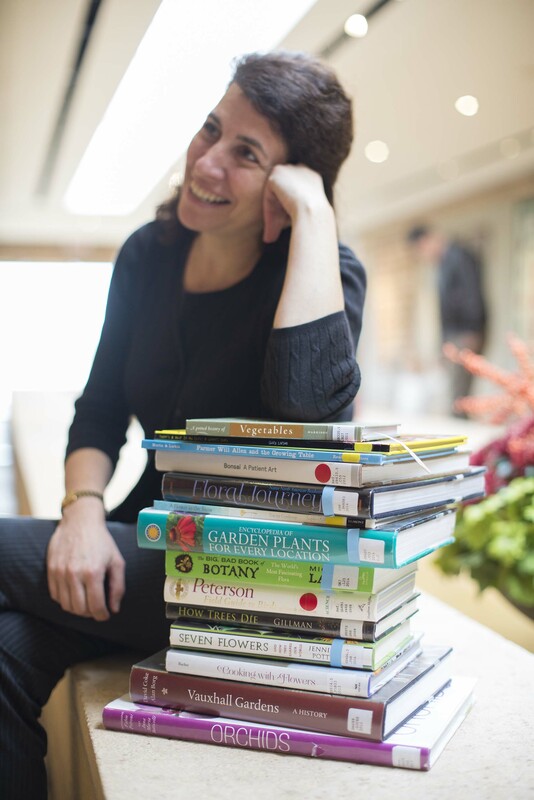 Leora Siegel directs the Garden libraries. Publications originating in North America are predominant in the collection. Western European books that once resided in the private family libraries of dukes and earls are also included. In some cases, bookplates were traced back to their original owners. “They were in private libraries and only the family could read them, and now they are on the web and anyone can get to them,” remarked Siegel. 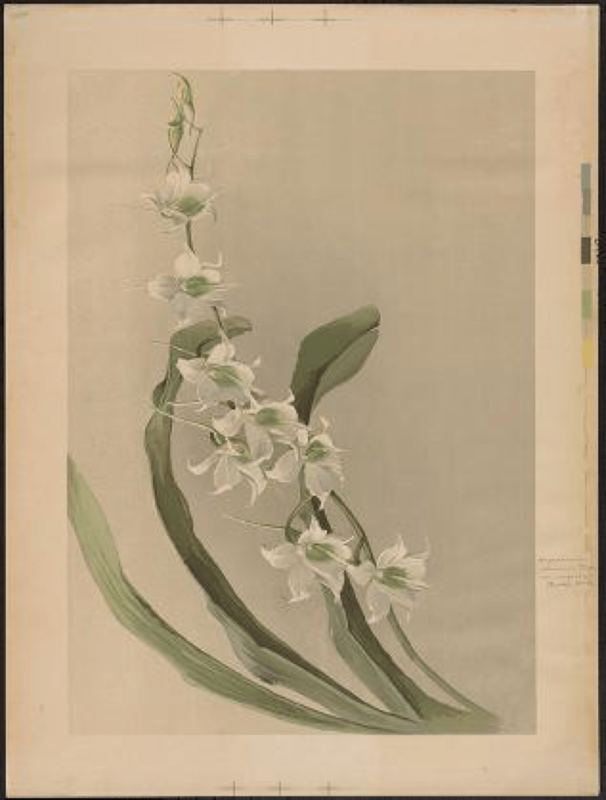 The international component of the digitized collection also includes ikebana illustrations from Japan. 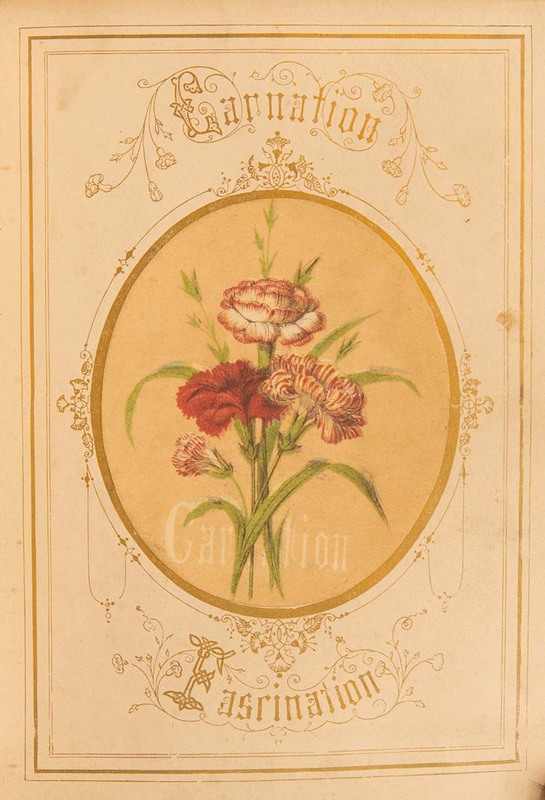 These materials were part of a collection of some 2,000 rare books and 2,000 historic periodical titles collected by the Massachusetts Horticultural Society of Boston before being purchased by the Garden in 2002. Since that time, grants including a $172,000 award from the National Endowment for the Humanities in 2011, allowed the Garden to digitize 45 of the books that have traveled time and distance to reach us today. 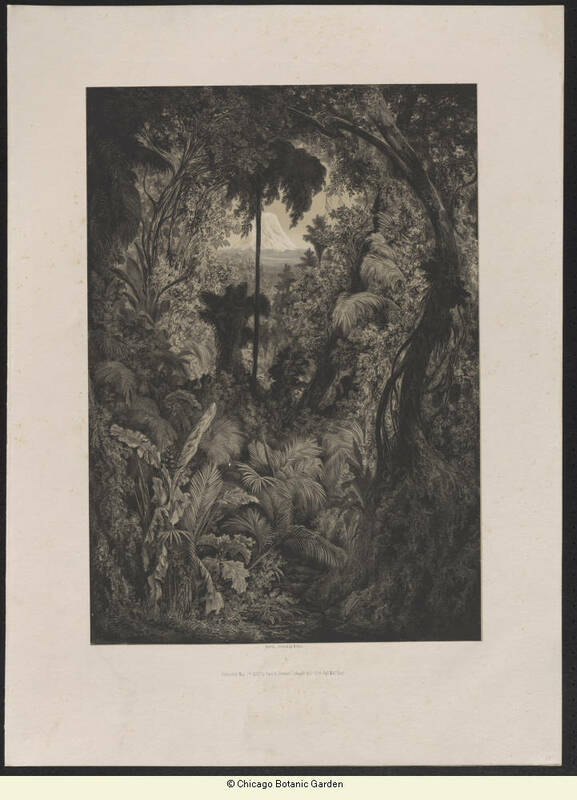 What did South America’s tropical vegetation look like to illustrator Baron Alexander von Humboldt in the 1850s? 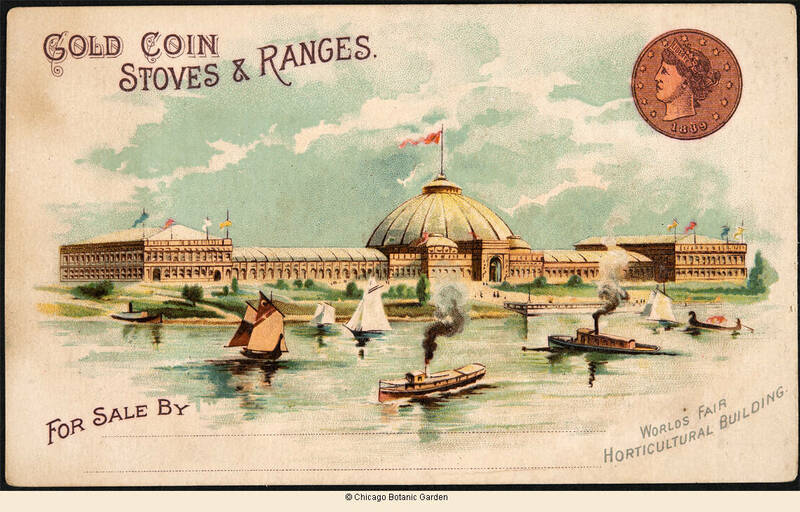 How was the Horticultural Building portrayed in Chicago’s 1893 World’s Columbian Exposition? 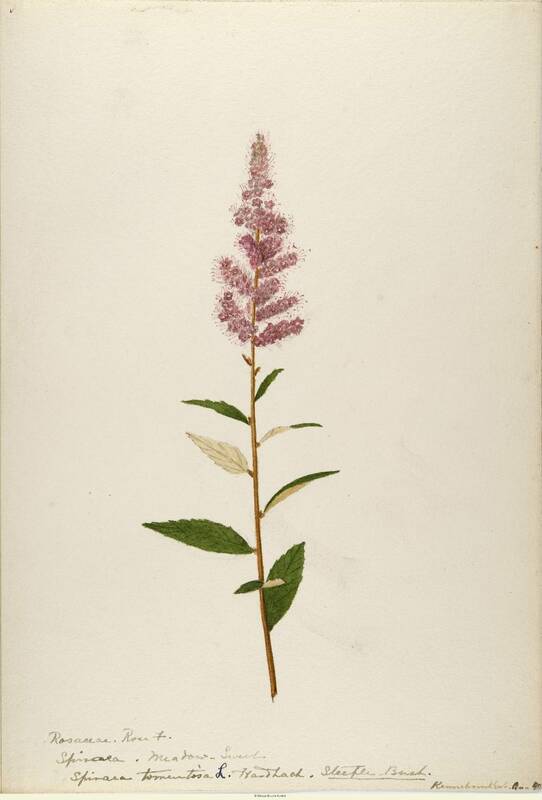 The answers can be found in the preserved volumes and vintage postcards accessible via the Illinois Digital Archives and the Garden’s new digitized illustrations website, launched in September. Front of advertising card showing the Horticultural Building at the 1893 Chicago World’s Fair, with inset of company logo. 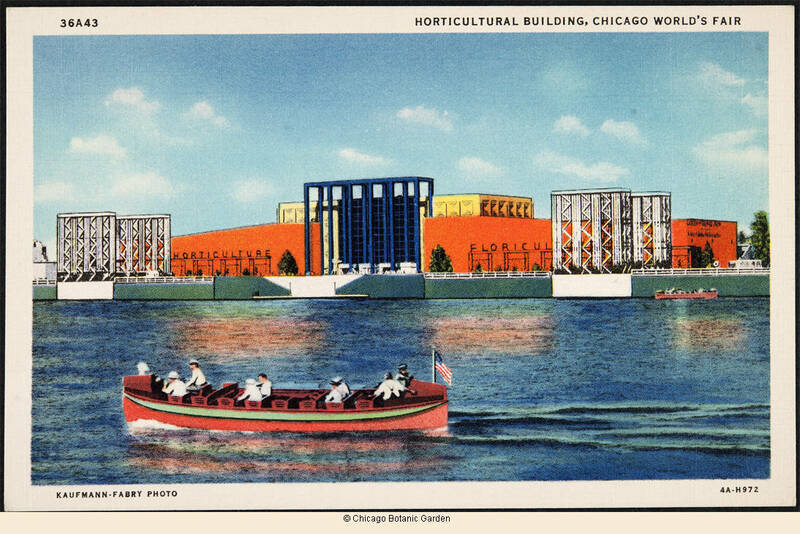 Front of postcard showing a rowboat on a lake in front of the Horticultural Building at the World’s Fair grounds in Chicago, 1934. The new site houses illustrations from a significant number of titles and interpretive notes, and it is continuously updated with material. From books on grafting plants to postcards from flower shows, there is much to discover with cultural and scientific relevance. 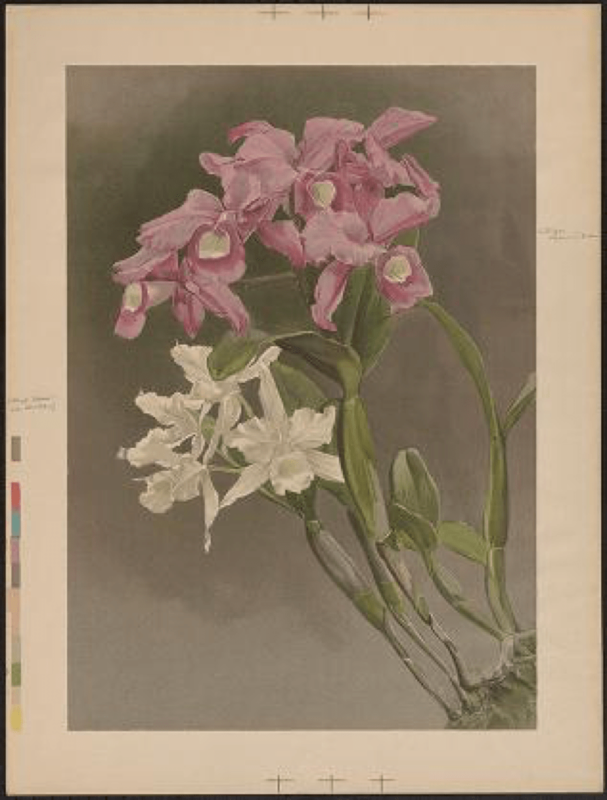 “The botanical illustrations come close to our herbarium specimens in many cases because you really see the roots and the life cycle of the plant,” noted Siegel. The majority of materials were digitized offsite by the premier art conservation center in the United States, the Northeast Document Conservation Center. When the processed files arrive at the Garden, metadata is added by Garden librarian Christine Schmidt. She then adds the files to a software program that allows them to be accessed through either website. A volunteer photographer also contributes to the files. In the most recent set of 45 digitized volumes, 18 are currently being processed and prepared for the site. While the rare books are still available by appointment to those who can make it into the library, many of the books are delicate and will benefit from an increased percentage of online viewing into the future. Allowing access to these materials online has yielded many rewards for those who made it possible, from contributing to research around the world to the reproduction of selected images in new book publications, which is done with special permission from the Lenhardt Library. “People are really blown away,” according to Siegel. 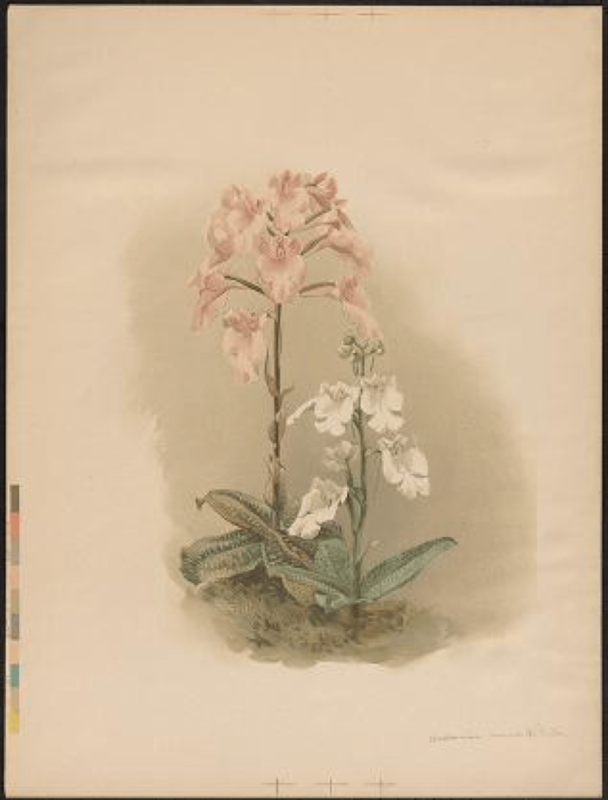 Garden exhibitions have benefited from the collection as well, such as the winter Orchid Show exhibition, which was enhanced by complimentary full-text access to some of the rare books from the online portal. Next, Siegel hopes to digitize the Garden’s collection of an estimated 20,000 pages of manuscripts of scientists’ field notes.